This is prime huckleberry country that satisfies my wife's annual urge to rid the forest of these delicious treats that flavor her friend and family-famous homemade huckleberry-raspberry jam. 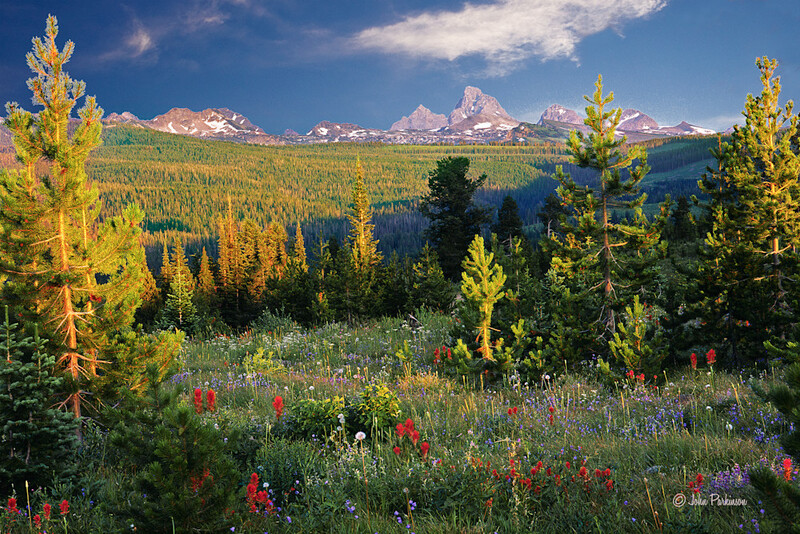 While we labor away to fill our plastic containers with a year’s supply of jam makings, the rugged Teton peaks and the colorful landscape provide equally delicious eye candy. This particular area on a remote forest service road in eastern Idaho sees very few visitors. In fact, on one visit, we only saw one other car on the road during the four hours that we were there.